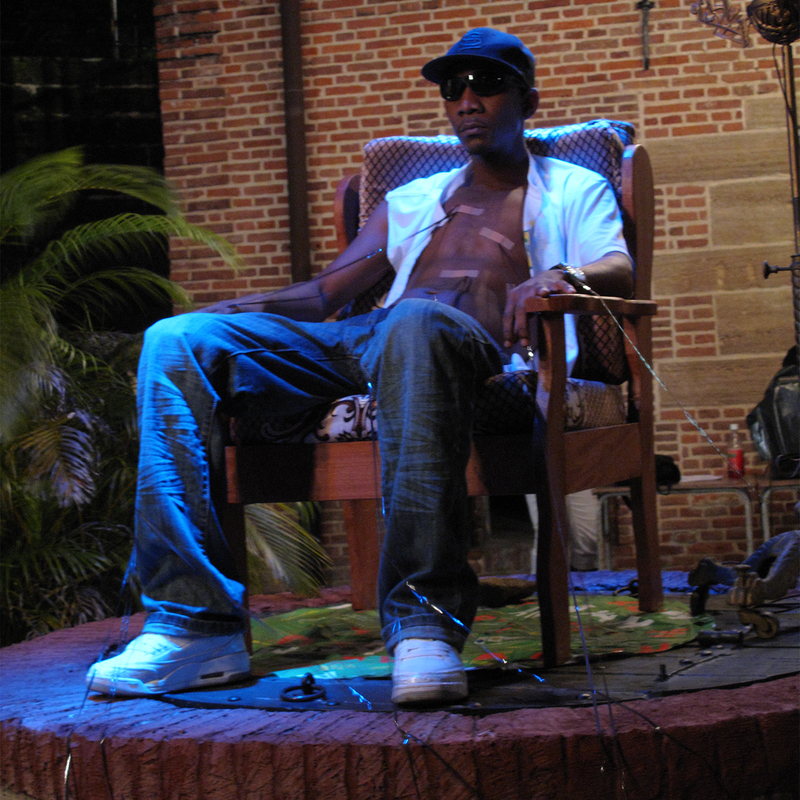 Wakaman arose around six years ago out of the need to examine the position of visual artists in Suriname and to put them on the international map. Perhaps through unawareness, the art world seemed to be largely indifferent to this. The initiators of Wakaman: Michael Tedja, Gillion Grantsaan and I therefore felt that we would have to take action ourselves and open the situation to discussion. All three of us have Surinamese backgrounds and are well-known in the Netherlands and beyond. 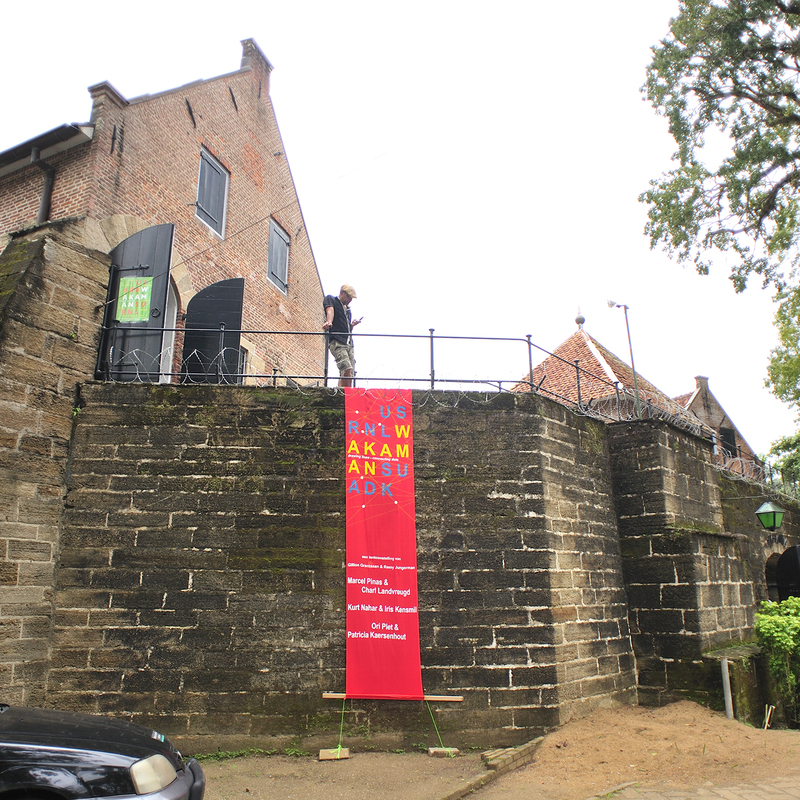 A number of meetings convinced us that in order to get the issues surrounding Surinamese visual arts into the public domain we would have to combine forces and were curious how the Dutch art world and the media would view this. For group activities we chose the name Wakaman, which in Sranan Tongo literally means ‘the walking man’, but can also be translated as/ stand for stroller, wanderer, traveller, drifter, loafer, tramp et cetera. In the vernacular wakaman also refers to a man who goes from one woman to the next or to a hustler, street philosopher, someone cool and someone who intentionally stays on the sidelines in order to be in a position to campaign behind the scenes. In the early years our meetings often concentrated on this last connotation since a major discussion point was that a Wakaman is impartial! In 2005, after two years of exhaustive debate, our combined forces produced a large Wakaman presentation in TENT. in Rotterdam. An important part of this exhibition was our own, different work: Tedja draws and paints, Grantsaan works more in collage, using the computer and I (Jungerman) am a multimedia artist and make installations. In our work, form continuously affects content, and vice versa. 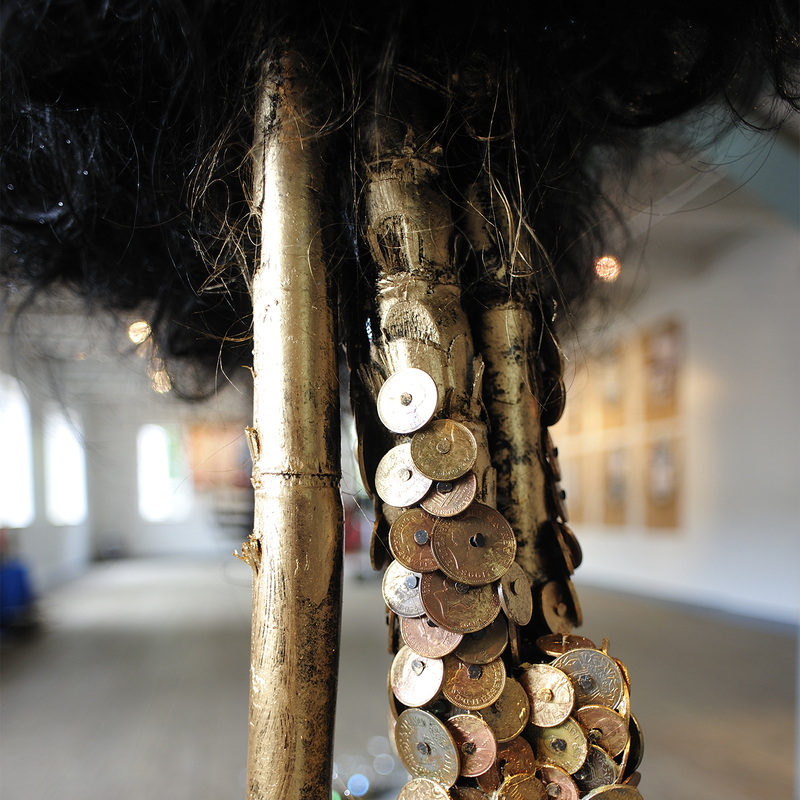 This work has an affinity with that of some non-Western artists living in the West and we understand the problems they experience with regard to interpretation, categorization and recognition. 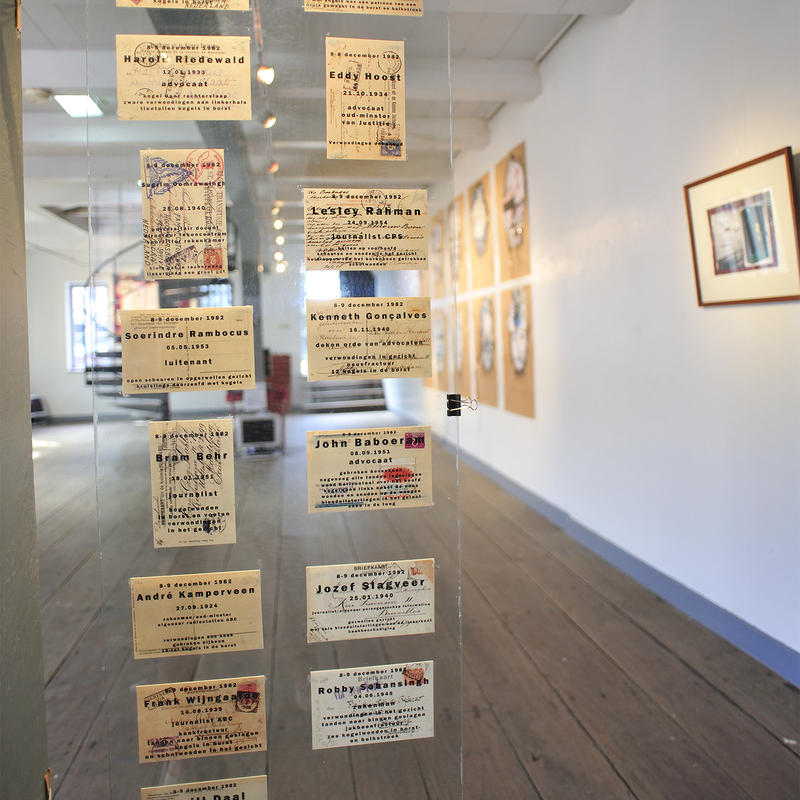 The three of us also acted as exhibition curators and one of the first we invited to participate was Dwight Marica. 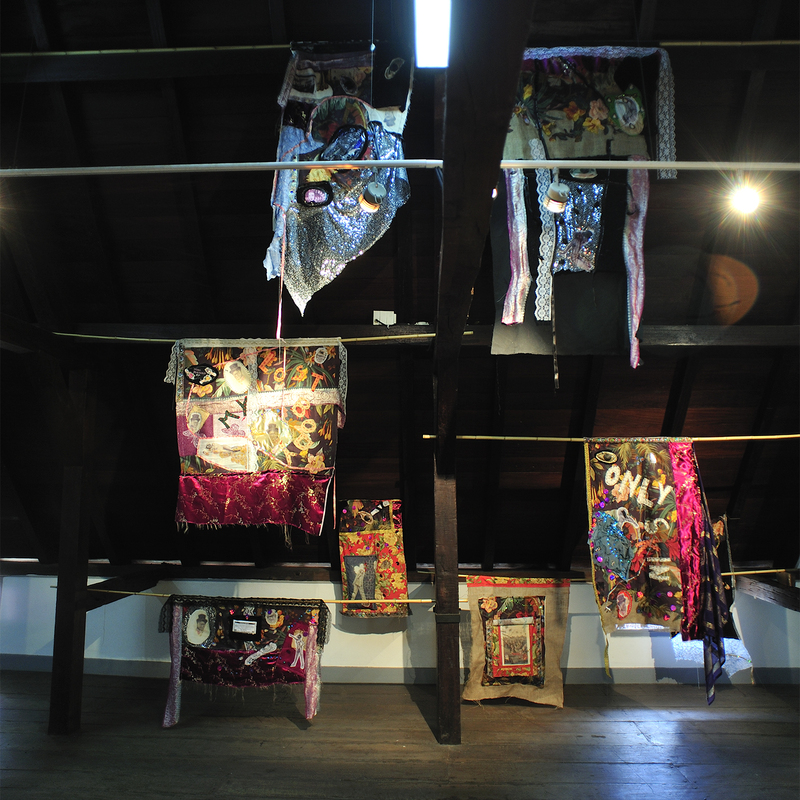 In addition to work from these four Surinamese artists we also showed work by Dutch and international women artists, because we felt their position in the art world can be compared to our own. We chose: Judith Heinsohn, Miek Hoekzema, Rose Manuel, Juliette Tulkens and Fabiola Veerman. In order to publicize a number of issues we organized a special session during the exhibition where the journalist Steven Sanders interviewed the Wakaman artists Michel Tedja , Gillion Grantsaan, Dwight Marica and myself. Followed by a debate with guests: art historian Adi Martis; curator, artist and filmmaker Felix de Rooy and the then director of TENT., Thomas Meyer zu Schlochteren. Some of the issues that came up were: Why polarize? Are we, perhaps, radicalizing? Is it about power? Money and Power! As well as this unique evening we showed films by Coco Fusco (a.k.a. Mrs. George Gilbert), Nina Jurna (Louis Doedel) and by Spike Lee (Bamboozled). The silence was deafening. We were unpleasantly surprised that there was so little media response to the exhibition despite our reputations as artists. Since the presentation in TENT. had not achieved our aims we decided to develop Wakaman further. We started by looking for reasons why nobody seemed interested. 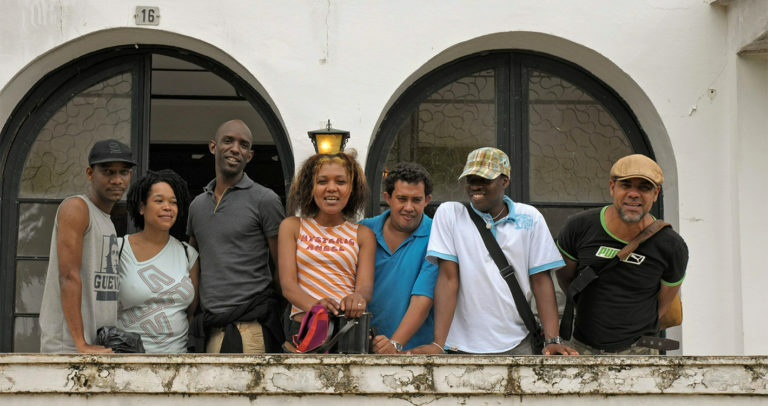 While brainstorming we realized, for example, that there are almost no publications at the academies in Suriname and the Netherlands that examine the theories, methods and spheres of influence for artists with a Surinamese background. Maybe it was this, which was not making us visible, understandable or accessible enough for the Dutch public. When at the academy we had to research our own frames of reference, Suriname seemed to have been neglected in comparison with other cultures. Our next target would be to make a document – THE BOOK. The Book, which would have to be in every academy and institute library, both national and international, would put things into an international perspective and draw parallels with other cultures. Shortly afterwards the Fonds BKVB (The Netherlands Foundation for Visual Arts, Design and Architecture) invited us to submit an application as part of the ‘Intendant Culturele Diversiteit’ Project. The Wakaman gaat lopen (Wakaman walks) project was accepted in 2007 and we planned to work on it for two years. Our group rephrase during this time and Tedja went his own way. However, all three of us remained true to the same Wakaman principal, we just interpreted it differently. After the split we (Gillion Grantsaan and Remy Jungerman) decided to take Suriname as the starting point for our collaboration. 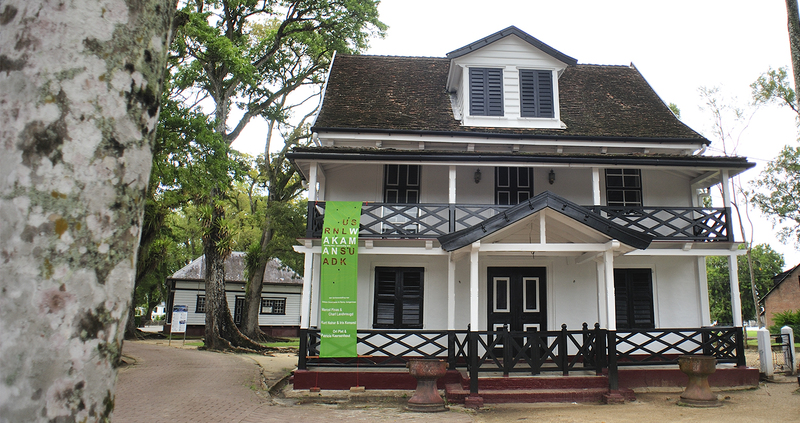 Suriname as the centre for the visual arts. Back to the Root, to find out where inspiration comes from and to gain insight into ourselves. 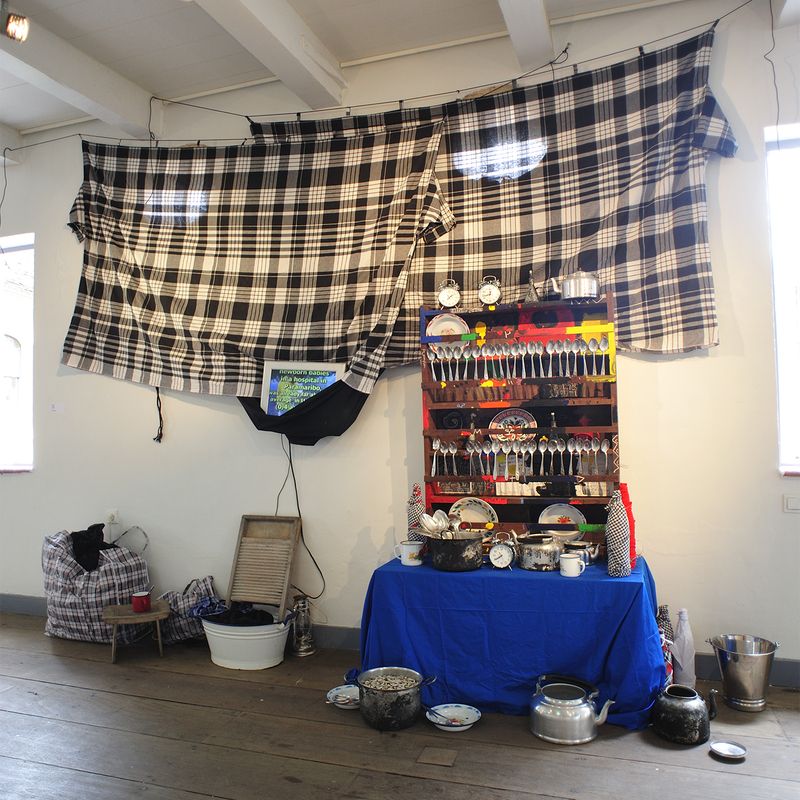 The aim of the collaboration is to start up a dialogue at the home front that will lead to an exhibition in Fort Zeelandia and a bilingual book. 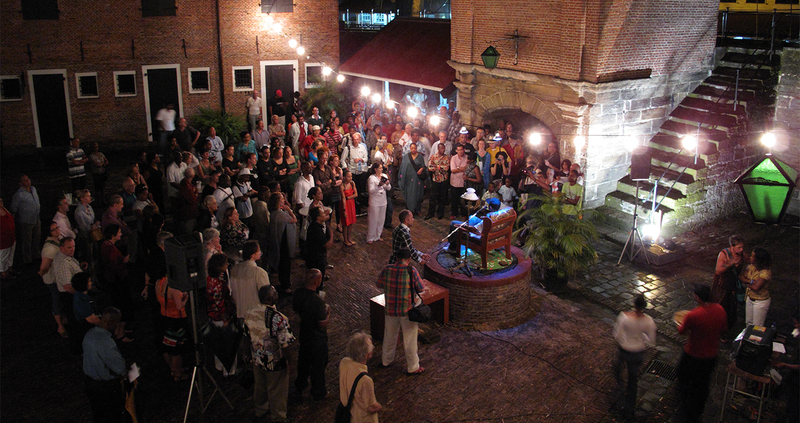 We want to tell the story of contemporary Surinamese art and thereby clarify any possible enigmas in our work for all Surinamese, the Dutch and the rest of the world. Together with as many participants as possible we want this collaboration to lay things up/ expose open and lay them down. Expose any neglected perspectives to the warmth of the limelight and make a positive contribution to the labyrinthine cultural and social debate. As artists we can and want to influence a few relevant and recurring issues in the discourse on art: categorization, recognition, appreciation, frames of reference and interpretation; without making a substantial distinction between the local and global context since our art embodies both. 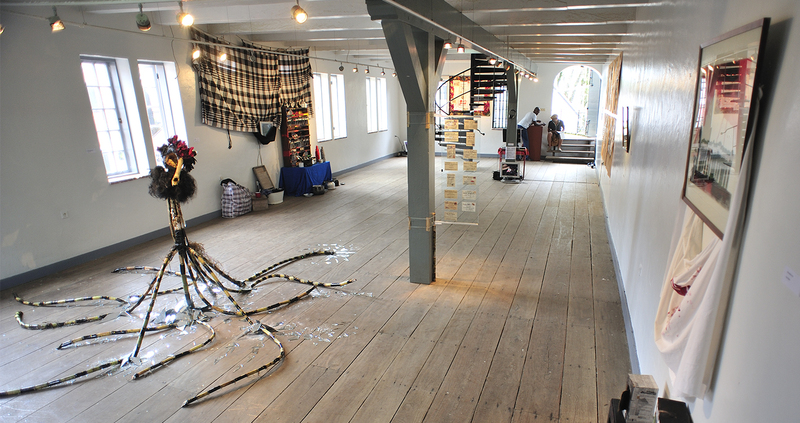 We have paired three Surinamese artists with three Dutch artists with a Surinamese background. 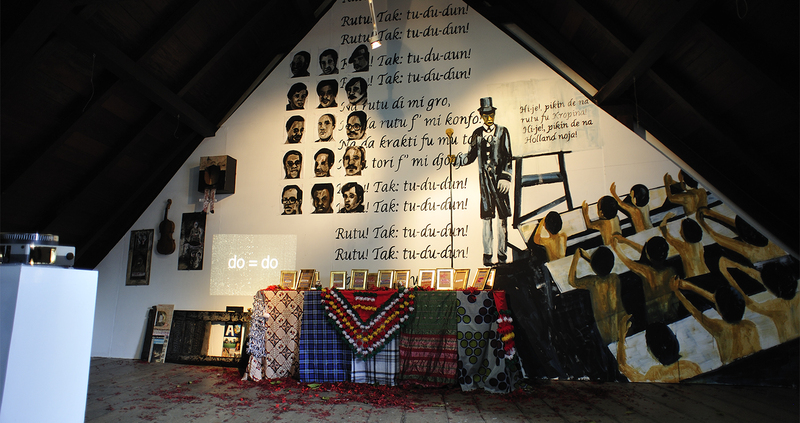 For three months via internet and by mail they hectically exchanged ideas on issues and differences in approach to contemporary visual arts from a Surinamese perspective. The pairings are: Kurt Nahar, SR / Iris Kensmil, NL; Marcel Pinas, SR / Charl Landvreugd, NL / USA and Patricia Kearsenhout, NL / Ori Plet, SR. 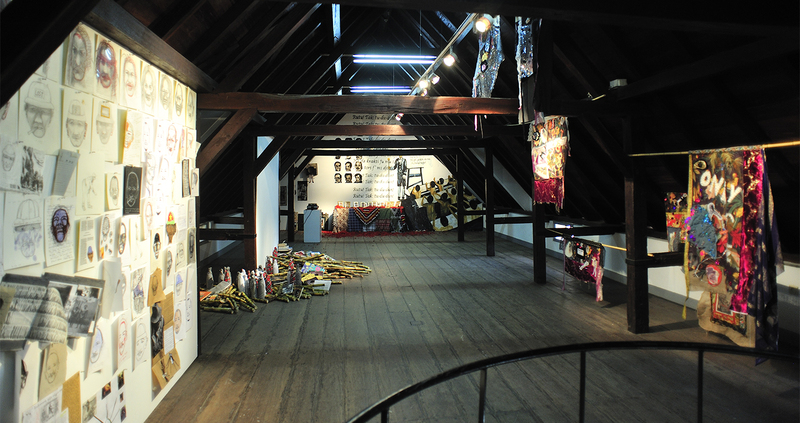 The resulting process-based artworks created from this intense collaboration can be seen in February 2009 in an exhibition at Fort Zeelandia in Paramaribo. In order to set up the dialogue with the Surinamese art world and to give the artists living in Suriname a central position in the process, Gillion Grantsaan and I traveled to Suriname in the summer of 2008 to talk to the relevant people in person. We visited the Academy of Arts and Culture (AHKCO) and the Nola Hatterman Institute (NHI); talked with influential people from the Surinamese world of culture, including Stanley Sidoel (Director of Culture), journalists, artists and spoken word artists and visited studios. 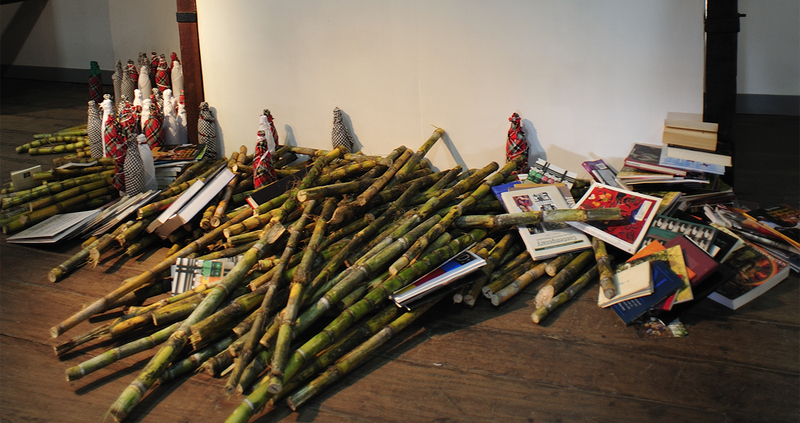 It soon became apparent that there was an urgent need to get together and discuss and evaluate the state of affairs in the visual arts in Suriname. We organized a meeting for July 16th at Zus en Zo that turned out to be a very interesting evening. (See Marieke Visser, ‘On the way. An Evening in the Heart of Paramaribo’. We also organised various brainstorming sessions in the Netherlands on the Wakaman project developments. 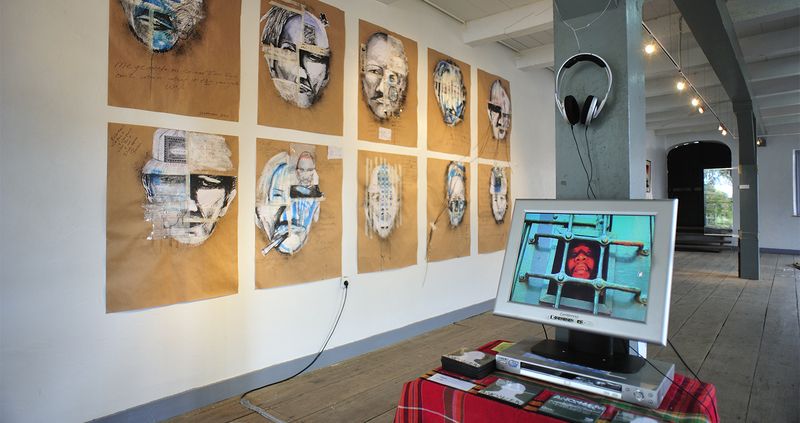 The session at the Rijksakademie in Marcel Pinas’s studio on September 13th 2008 and a visit to Patricia Kaersenhout’s studio on November 22nd 2008 were two of the highlights. Six months earlier on May 16th Wakaman had made a positive contribution to the 6(0) ways programme organized by the Fonds BVKB in Felix Meritis by putting together a debate with Remy Jungerman and Gillion Grantsaan. Taking part were: the cultural entrepreneur Ricardo Burgzorg, the artists Fendry Ekel, Patricia Kaersenhout and Iris Kensmil, the art historian Adi Martis, the artistic director of the Souterian Amsterdam Centre for Contemporary Art Rona Mathlener, the publicist and curator Rob Perrée and Felix de Rooy , curator, artist and film and theatre maker. It is the hardware that counts (We need permanent buildings, the occupants can change. A Non-Dutch Visual Arts Museum with an Art Academy, curator training and a faculty of Art History, all under one roof. Is this the right way to perpetuate, expand, extend and to increase the influence of the visibility of these other Dutch in Dutch cultural life? And if so, how do we do it? If not, what is the best strategy?). In addition to the visual elements and the discussions, this book has been created as part of the project. My foreword is followed by Redimusu, a parable by Gillion Grantsaan. The rest of the book records the process and covers the local and global context in more depth: Marieke Visser, In transit. 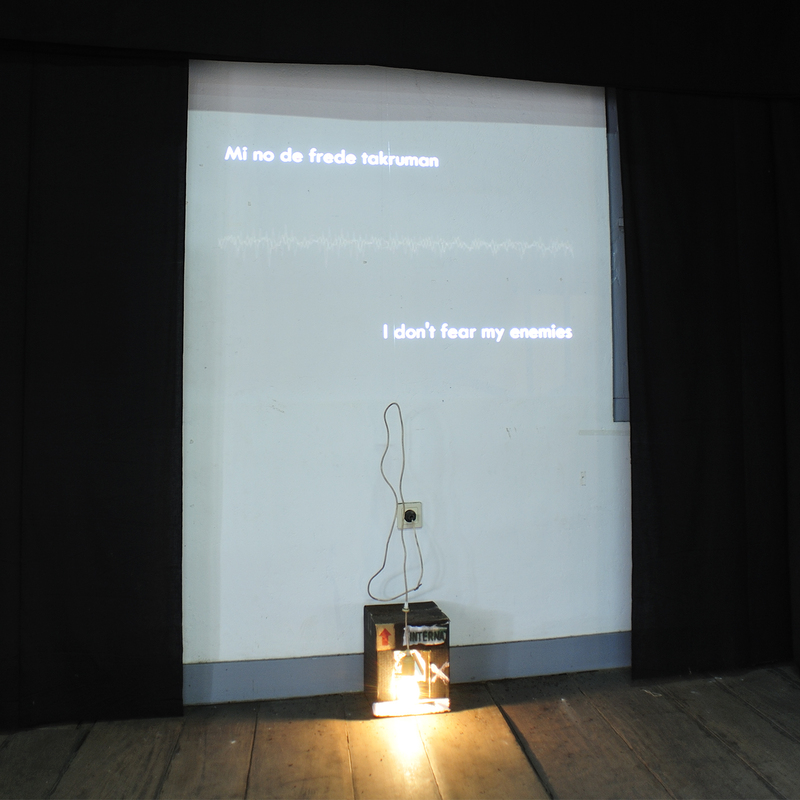 An Evening in the Heart of Paramaribo reports on the meeting in Suriname; WILDCOASTArt is a summary of a piece by Luciel E. Becker; Chandra van Binnendijk, Waka Tjopu visual artists’ collective describes a unique Surinamese artists’ initiative in the eighties; the artist pairings are given their say; Rob Perree puts the Surinamese artist into an international perspective in Suriname and the US: Black artists in various stages of Obamization? 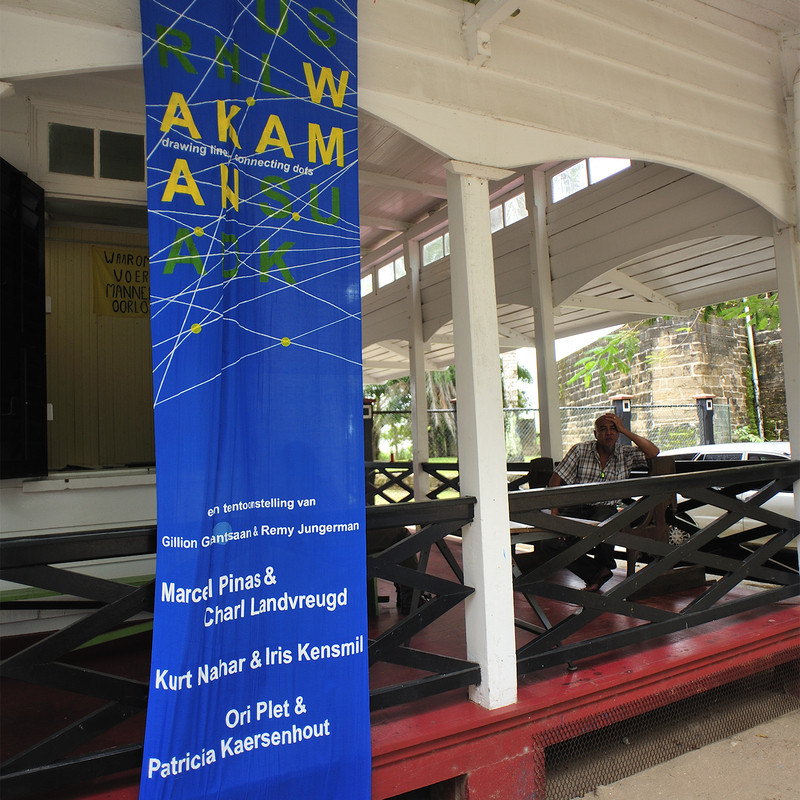 and in Wakaman goes Caribbean Adi Martis views Suriname and Wakaman from the Caribbean viewpoint. The collaborating artists are each given ten pages in the book that they have designed themselves; a sanctuary where they can reflect on the developments of these three months.